Here's a giveaway after my own heart, or at least the stomach. 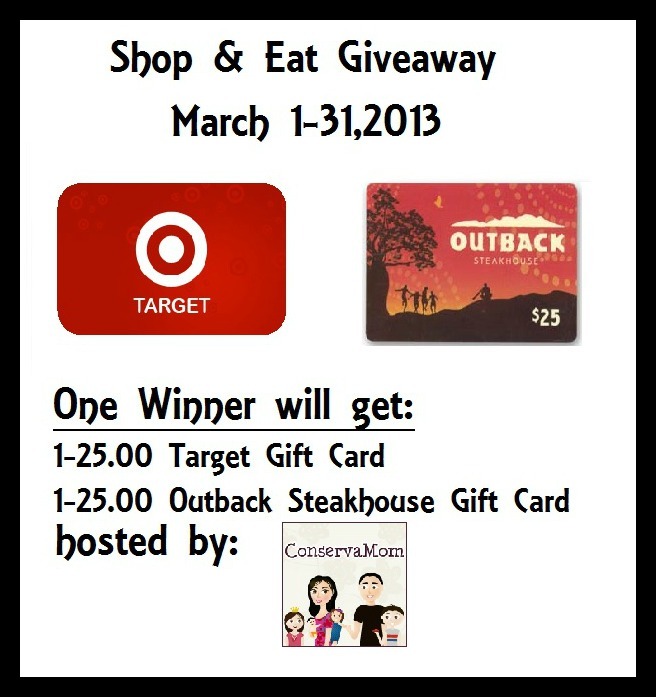 It's date night with this Target / Outback combo giveaway. Enter all throughout the month of March. Good luck. Welcome to the Shop & Eat Giveaway! Hosted by : Conservamom, The Penny Hoarder & Barbara's Beat. 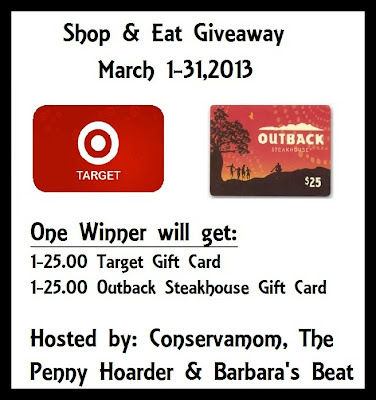 If you like to shop and eat out this is the giveaway for you! 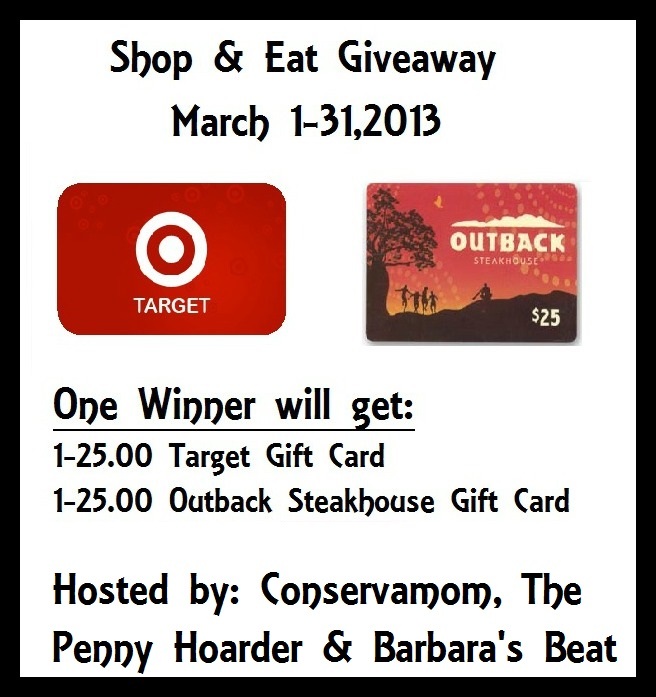 Enter to win a 25.00 Target Gift card and a 25.00 Outback Steakhouse Gift card. Just enter the rafflecopter form and one lucky person will win two wonderful prizes worth a total of $50! Giveaway ends 3/31 come back for daily ways to enter! Disclosure: I received no compensation for this publication. My opinions are my own and may differ from those of your own. Java John Z's is not responsible for sponsor prize shipment. Please contact mome@conservamome.com with questions. I am probably most excited about the Outback giftcard, just because it has been years since I was able to afford to go there. Both but probably Target more.